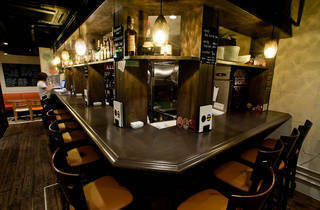 Japan’s burgeoning craft beer scene is well represented at this compact basement bar, which sits right on the main drag in central Roppongi. 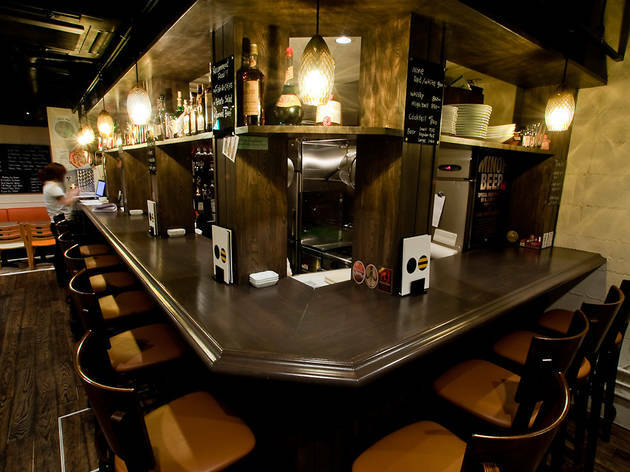 There are always twenty or so draft brews available on tap at Ant 'n Bee, all of them from Japanese breweries, with the likes of Sankt Gallen, Shiga Kogen and Iwate Kura usually well represented. Drinks are available in three glass sizes, and you should brace yourself for Roppongi prices: US pints cost a flat ¥1,260, which is significantly more than you'd expect to pay at some other places in town. Then again, where else in Tokyo can you order a round of Daisen G Weizen at 6am? Above-average food, friendly staff and free wi-fi add to the appeal – especially if you're a barfly with a bad case of insomnia. One caveat, though: the bar is only partially non-smoking, and in a space this small you really notice it.